Interface converters allow easy interconnection between differently terminatd networks. 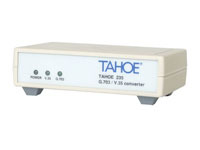 They convert between V.35, G.703 or Ethernet 10/100Base-T interfaces. 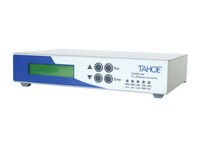 Manageable G.703 (framed or unframed) to 10/100Base-T converter (bridge), management through serial console or built-in LCD and keyboard. 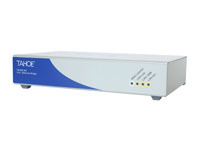 V.35 (DTE) to Ethernet 10/100Base-T converter (bridge). E3/T3 to Ethernet 10/100Base-T converter (bridge). G.703 (unframed) to V.35 (DCE) converter.